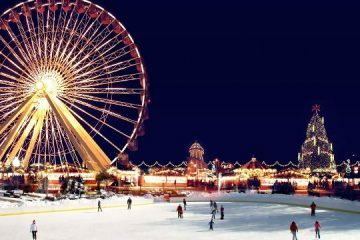 Lunchbox Theatrical Productions recently staged a production of Peter Pan on ice at Hyde Park’s Winter Wonderland. 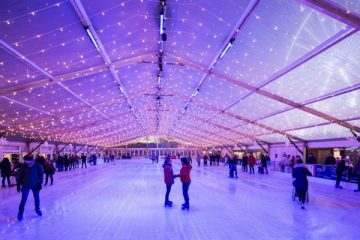 The performance featured ice skating by Imperial Ice Stars, alongside special effects, a giant LED screen providing animated scenery, costumes, pyrotechnics and original music. 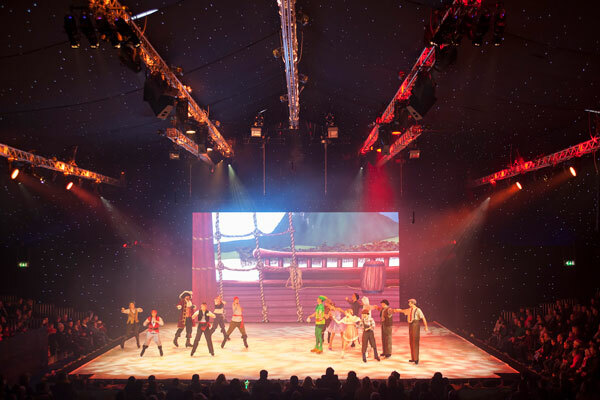 SLX supplied the truss and lighting inside a marquee supplied by Peppers Marquees, with production management , sound and rigging support from Southby Productions. 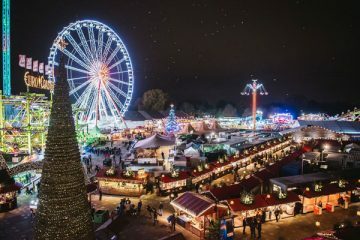 Olivia Disandolo, event manager at Lunchbox Theatrical Productions, commented: “This was our third year on ice at Hyde Park for Christmas and we have a tried and trusted team behind the scenes, which SLX is a key part of. “We opened 21stNov and ran to 6thJan (with the exception of Christmas Day). With three to five shows scheduled every day, having good support is imperative as there is minimal time between performances. SLX supplied an ETC Ion console, controlling a versatile lighting rig, including MAC Viper Profiles, MAC Quantum Wash, Martin Rush Par, ETC Source 4 Lustr 2, Chauvet Colordash fixtures. They also supplied trussing, rigging and motors, JEM Haze and Low Fog along with power distro, cabling and a data network. 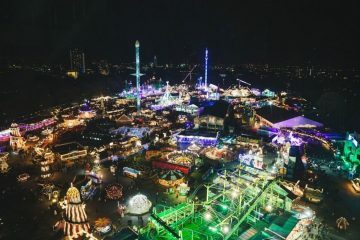 Harry Tabner, lighting designer, commented: “The rig was in use constantly for nearly 12 hours a day, in a chilly marquee with an ice rink. SLX have never let us down with the quality and reliability of equipment, but in the rare occasions the onsite team have needed support during the run, the team from SLX have been great.